Up for review today is the Fonseca Nicaragua Petite Corona. 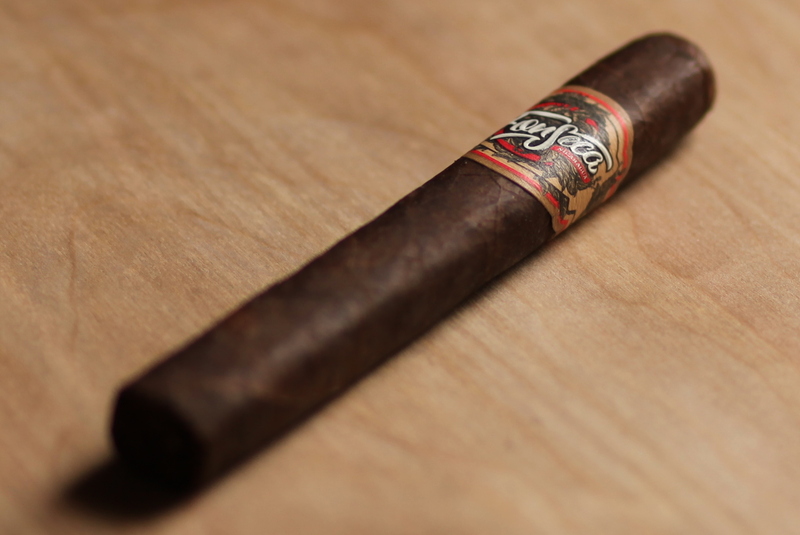 It’s a unique cigar, firstly because it comes from a collaboration between two great families in tobacco: the Quesada’s and the Plasencia’s. Second, this is the first Fonseca brand cigar ever to be made outside of the Dominican Republic. The Fonseca Nicaragua Petite Corona is an attractive cigar, with a strong, square box press and a well designed band. The wrapper is dark chocolate brown, very smooth and exceptionally oily. 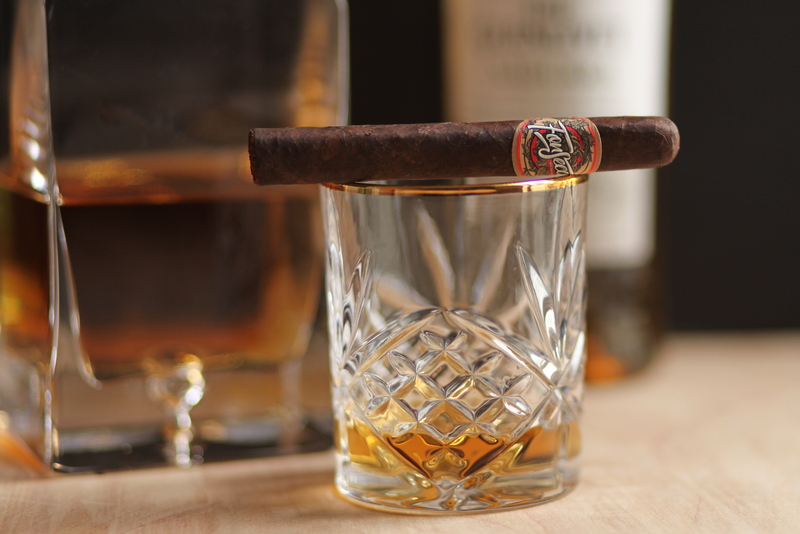 The cigar seems well constructed, with a sightly springiness when squeezed that is consistent the length of the cigar. The pre light draw is somewhat restrictive and delivers notes of spice, sweet tobacco, and wood. The Fonseca Nicaragua Petite Corona opens with concentrated flavors of dry wood, savory spiciness (almost barbecue like), some interesting floral notes, coffee and bitter chocolate. The texture is mostly smooth, with a little roughness around the edges. The retrohale is moderately spicy and carries some pepper with it as well. I’d place the opening at a solid medium body, full strength. The smoke production on this cigar is about average, and the draw is comfortable. By half an inch in, those rough edges on the texture have smoothed out, and the bitter chocolate has moved from bitter to sweet and smooth. The ash is thick, seamless and white which is quite satisfying and holds on solidly until I roll it off an inch in. As the second third nears, the profile shifts away from dominant sweetness to a balance between sweet and salty (almost a Fritos kind of saltiness). It’s an interesting profile to be sure, but not a preferred mix of flavors. Around this time the smoke production drops down to below average. At halfway, dominant flavors shift to cashews, pepper, and bitter dark chocolate. The burn and ash remains sharp. In the final third, the smoke production finally increases and it’s here that I think this cigar finds a nice balance in the profile. The pepper dials back nicely and coexists well alongside notes of oak, cashews, floral, espresso, and sweeter chocolate. The spice on the retrohale is a bit stronger than before, playing nicely off of the gentler profile. Although I enjoyed the Fonseca Nicaragua Petite Corona, it will not be a size that I revisit. The flavor combinations are enjoyable, but to me this size doesn’t find balance enough to justify recommending it. For the money though, at about $5 a cigar, this really is a quality smoke. But I’d still recommend starting with the robusto or toro size to see if this line is right for you.